You might have received plenty of WhatsApp stickers as Diwali greetings last week. There are tonnes of third-party sticker packs that have recently emerged on Google Play and tens of official stickers come preloaded. But since searching for new stickers on WhatsApp isn’t as easy as searching a sticker on its competing apps, the Facebook-owned company is now reportedly working on a search feature to make it easier to share relevant stickers with your contacts. The feature is said to currently be in the pipeline for Android devices. However, it could also head to the WhatsApp for iPhone version over time. WhatsApp beta tracker WABetaInfo has reported that WhatsApp is working on a stickers search feature for Android devices. The tracker has also provided a couple of screenshots to show how the search feature will be available on the app. This is likely to be similar to the functionality that is already available to search for different emoji characters and GIFs. Moreover, the leaked screenshots show that there will be a lens at the bottom-left corner of the stickers panel that will open the search bar upon a single tap. It is unclear that when and how the search feature will arrive. However, it is expected to require the latest WhatsApp for Android version to enable the new experience. The feature could also reach iPhoneusers soon after its debut on Android. The search feature is understandably important to enhance the usage of stickers on WhatsApp. It is worth mentioning here that the instant messaging app brought stickers to its Android app last month, followed by a server-side rollout for iPhone users. 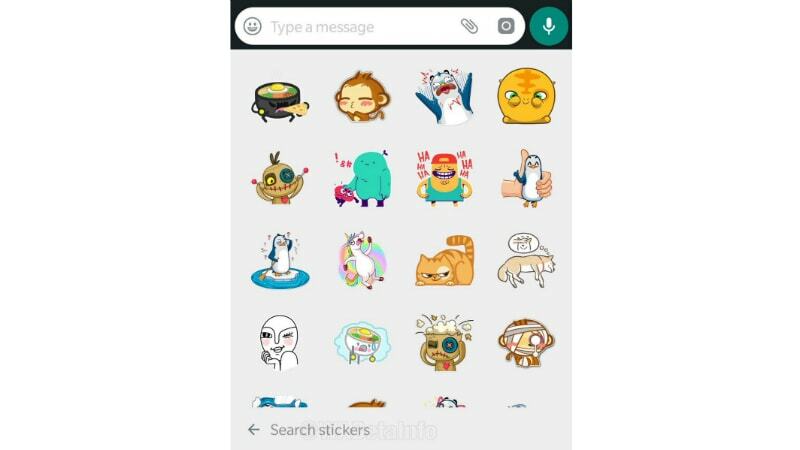 By default, there are 12 sticker packs provided by WhatsApp, though Android users also have the option to download third-party sticker packs through Google Play. Users can also access stickers directly from the WhatsApp Web.